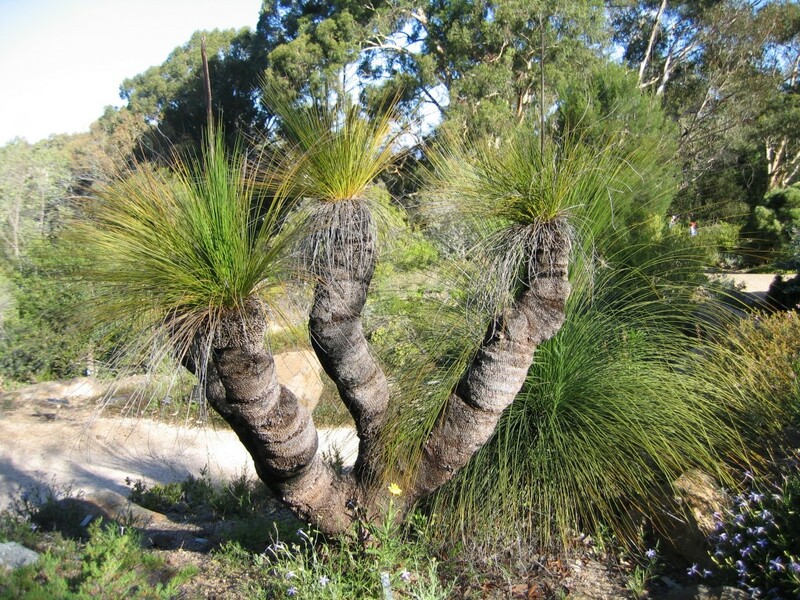 I was delighted to see well grown plants of Xanthorrhoea johnsonii in Canberra Botanic Gardens, which has to be my favourite Botanic Garden. This photo was taken in the dry bushland section near the daisies and rockery. They are wonderful architectural plants and look spectacular with their dark trunk. The National Botanic Garden is built on a hillside with what must be great drainage, which these bush plants need. I discovered that Canberra city has the same annual rainfall as Adelaide, so much of what I saw growing there has a fair chance of success in Adelaide and environs.